Beyond its historical role as an exporter of globally influential pop music, Liverpool’s importance as a melting pot for global styles and its subsequent impact on the nation’s cultural landscape cannot be overstated. While events such as Africa Oyé festival have regularly provided a wonderful introduction to African and Caribbean culture, this year’s LIMF takes the theme further, exploring the idea of ‘music migrations’ through four special commissions. Routes Jukebox and Liverpool, Next Stop New York will both explore the city’s relationship with American music, emphasising soul, R'n'B and hip-hop (watch out for performances from LIMF Academy protégé Jalen Ngonda and sets from local legends Greg Wilson and No Fakin), while the Global Roots Mixtape challenges a range of DJs hailing from South Africa to Lisbon to create the ultimate mix. Occurring alongside the headline-grabbing free Summer Jam concerts in Sefton Park, which will host everyone from Echo and the Bunnymen to up-and-comers Hooton Tennis Club, these commissions will illuminate lesser known aspects of the city’s musical lineage while neatly avoiding the Merseybeat tub-thumping that has occasionally characterised similar events in the past. 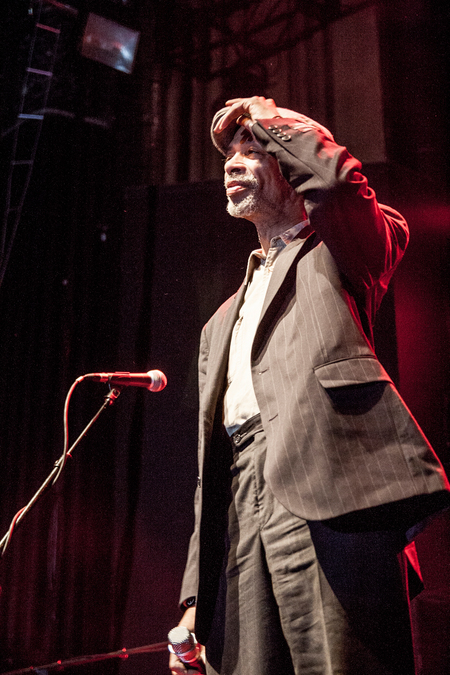 The opening event to kick off proceedings on 27 August is an enticing prospect in its own right: The Revolution Will Be Live – a celebration of Gil Scott-Heron’s music, lyrics and political activism put together by dependable Merseyside booker Rich McGinnis and Malik Al Nasir, protégé of the revolutionary wordsmith. Now that tribute shows are second only to musicals as a means of milking an artist's legacy, it's easy to be cynical about such concerts. Yet as Yaw Owusu, longterm curator of LIMF, tells The Skinny, there couldn’t be a more fitting event to begin the festival. "This year’s theme is migration: how music travels all over the world, whether it's through traditional routes like the sea or the air, or the internet. So it fits with the theme, yeah. Gil Scott-Heron is definitely one of the most influential music artists of the last 100 years. But it's not just 'Liverpool doing Gil Scott-Heron,' this has a really tight link to the man through Malik." The purpose behind The Revolution Will Be Live is entirely bound with the fascinating life story of one of its chief organisers, which went viral in a Guardian article after the passing of the poet and musician in 2011. After being blown away by one of Scott-Heron’s incendiary performances with the Amnesia Express at the city's Royal Court Theatre in 1984, Malik met with him backstage and the pair immediately struck up a friendship. Having suffered the worst of the 1970s residential care system, this encounter proved to be a lifeline for the illiterate and traumatised Malik, who under Scott-Heron’s compassionate mentoring and tutelage would eventually strike out on an impressive career path of his own. Now a published poet, producer and musician with a dazzling debut album about to be released, he has decided to give something back: "I wanted to demonstrate to Gil that I got the message and I’m carrying on the work. The fact that he's from America and I’m from Liverpool is immaterial. He came here and touched my soul, guided me to be the guy that I am today. It's time to put this all into practice and this event is the way that I intend to do that." The idea for the festival first occurred to Malik while attending Scott-Heron’s funeral in 2011. Teething difficulties have meant it has taken a while to organise, having gone through several iterations and lineup changes. 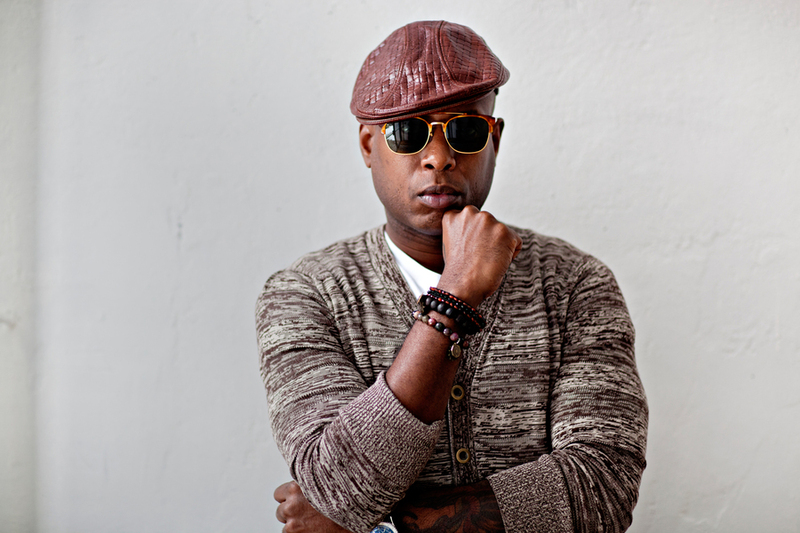 After being repackaged for LIMF, the show is finally being borne out in impressive shape, with Talib Kweli, reggae titans Aswad, Liverpool heroes The Christians and Craig Charles all testifying to the heavy impact that the towering Chicagoan's music and character had across various disciplines. It's an intriguing line-up, comprised of artists either directly influenced by or involved with Heron, "with a Liverpool flavour," as Malik describes it. It's also hoped that the spirit of the evening will challenge at least one of the preconceptions to have dogged the artist’s career. Gil is most commonly associated with hip-hop, with many citing him as ‘the godfather of rap,’ yet Malik is keen for the event to reflect his mentor’s refusal to be categorised. "I wanted to showcase the many different facets of Gil. He was a poet, he was a singer, he was a pianist. He also had an infusion of reggae in his repertoire on songs like Johannesburg." It’s also remarkable to see an event where spoken word is being given such a grand platform, as an art form often shunted into the basements of open mic nights or at best, an afternoon slot in a festival's comedy tent. 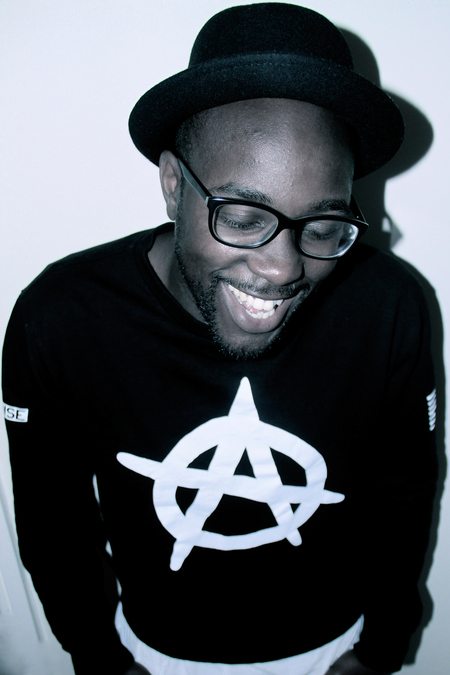 "The thing I like about spoken word is that it's where hip-hop was before it got commercialised," adds Owusu. "It has been great to see the resurgence in recent years of spoken word artists nationally. The movement has gone from underground, small venues to festival stages very quickly." Malik himself will be performing in this genre on the night, debuting his new album, Rhythms of the Diaspora, with his band the OGs, ‘a combination of jazz warriors from London and the Amnesia Express.’ Taking inspiration from Scott-Heron’s early work and that of Harlem-raised hip-hop founders The Last Poets, Malik has chosen to write a series of songs using his multilayered poetry, backed by the starkest of accompaniments. "Some of it is true to the original Gil Scott-Heron, Last Poets style: straight poetry, straight drums. Some of it is making songs out of human voice, and drum and percussion. There’s different rhythms on the album from marching bands, to go-go, to reggae to rocksteady, to African rhythms,” he explains. Malik will be joined by another politically minded performer and LIMF academy alumni, Sophia Ben-Yousef, whose work has already had an unbelievable global impact. "She wrote a song about the Libyan revolution under the tyranny of Gaddafi, and the song went viral, they played it on national TV over there." 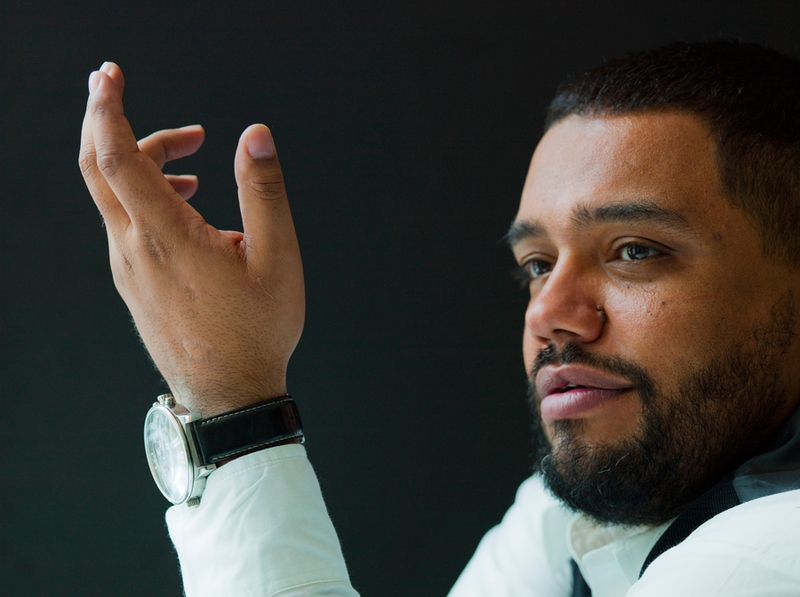 It’s tempting to quiz Malik further on his personal relationship with Scott-Heron, and the considerable emotional investment that this kind of project must entail, but the loquacious poet is keen to stay on message, emphasising the political significance of the night: "It's happening at the epicenter of the slave trade and colonialism," he suggests. "St George’s Hall represents this, the wealth of Liverpool. So we’re linking in with the Slavery Remembrance Day celebrations that happen at the Slavery Museum. Slavery, apartheid – Gil Scott-Heron spent most of his musical life fighting against these things. Both of those elements emanated from here in Liverpool. The music was incidental when Gil started out. His whole emphasis was about going down to the southern states and encouraging black people to vote so that they could change the political agenda and the Jim Crow laws. He had experienced that first hand, having gone to a whites-only school. His fight was for civil rights, and his music was a vehicle for that." As Malik sees it, what unites the concert’s diverse lineup is that "they have a drive in their music towards civil rights, some sort of drive in their music against racism." Besides the performances, the event will also feature Scott-Heron’s son Rumal Rackley and Nelson Mandela’s grandson Ndaba as guests of honour, underlining Scott-Heron's rallying for the American civil rights and South African anti-apartheid movements respectively. During a year in which unrest in Ferguson and political disenfranchisement at large have shown the obvious relevance of his work to the situation on both sides of the Atlantic, there is undoubtedly a timely political impetus behind The Revolution Will Be Live. Doesn’t it seem a shame that it will only be a one-off event? "The hope is, that if it's successful this year, then it's something we can make an annual event," Malik considers aloud. "Or something that we could potentially take to other areas. We’ve had interest from people in New York, and also Paris. Where it goes from here, is anybody’s guess!"